From the publisher: The town of Lavender, Texas is buzzing with tourists, and local businesses are pulling out all the stops for the annual Pumpkin Days Festival. On the eve of opening day, Sabrina comes face-to-face with her doppelgänger, Tia Hartwell, a caricature artist at the festival. The similarities between the two women are striking, including their matching black cats. Tortie Shorties Review: The Pumpkin Days Festival in Lavender, Texas, brings all kinds of characters to town, including one vendor who mistakes Sabrina for another woman he has issues with. Tia is an artist at the festival, accompanied by her young son and a black cat named Merlin who becomes fast friends with Sabrina's beloved Hitchcock. When Calvin is found dead in his truck Tia becomes the main suspect, and between lookalike women and lookalike cats, all sorts of mistaken identity ensues. Sabrina has her hands full between trying to help her new friends, avoiding the unwanted attentions of another vendor, continuing to work on her writing career, and then her mother and stepfather unexpectedly arrive! I loved the setting of Pumpkin Days accompanied by mouth-watering descriptions of delicious fall desserts. In addition to characters we've grown to love in this series such as Sabrina's BFF Ty and love interest Luke, the festival brings with it a wide variety of personalities, many with an ax to grind with our victim. I figured out the killer just moments before Sabrina did and it was a total surprise. I enjoyed this book from start to finish and especially appreciate the large role Hitchcock plays in the entire series. There's nothing "bad luck" about that cat at all...he's 100% a hero! From the publisher: As manager of the family teddy bear shop and factory, thirty-one-year-old Sasha Silverman leads a charmed life. Well, except for the part about being a single divorcée with a ticking biological clock in small-town Silver Hollow. And that’s just kid’s stuff compared to Will Taylor, the sales rep who’s set on making drastic changes to the business her parents built from scratch—with or without Sasha’s approval . 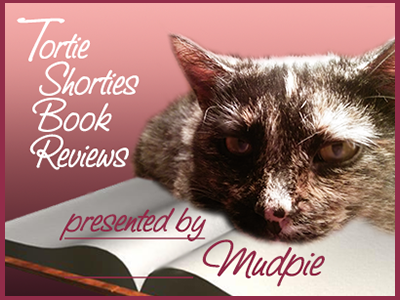 . .
Tortie Shorties Review: Sisters Sasha and Maddie find themselves running a teddy bear shop when their parents who built the store retire. Times are tough at the Silver Bear Shop and Factory though, especially when sales manager Will Taylor announces production of the bears is going to be shipped overseas, a decision he says received Sasha's father's blessing. Employees are understandably devastated, and Uncle Ross who runs the factory says he'll kill Will before he lets such a travesty take place. You guessed it, in no time at all Will is found dead in the factory - his mouth stuffed with teddy bear fluff - and Ross tops the suspect list. The sisters team up to clear their uncle's name and face even more stress when calls to their parents for help go unanswered. 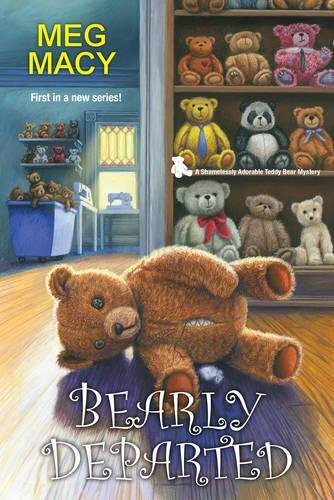 I love teddy bears, the cover is too adorable for words, and I enjoyed the mystery. but I do have to gripe a bit about the confusing number of side characters introduced early on. As the story progresses some make return appearances but there are so many I had to go back to refresh my memory on who was who. There also seemed to be a lot of extraneous details that took away from the central mystery and teddy bear theme at times. I'll definitely be continuing with the series but hope subsequent books are a bit less "busy". These sound fantastic, as always! 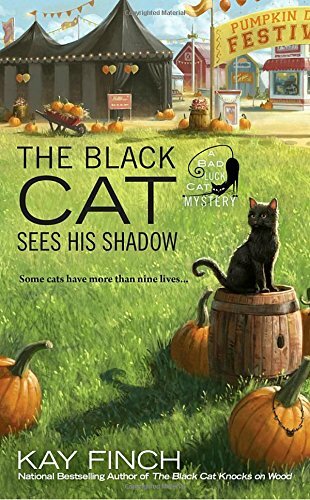 I am especially excited for The Black Cat Sees His Shadow, because I love all things Fall, and pumpkin! The Bad Luck Cat series is one I've been wanting to read. It sounds great, especially this one with the fall theme! Thanks, Melissa (and Mudpie). I've enjoyed the Bad Luck Cat series, too, and look forward to reading this next book. How does your mom find the time to read all of these great books? Maybe if our mom stopped watching YouTube movies she'd have more time for books. The Black Cat sees His Shadow sounds really neat! Those sound great, especially the Bad Luck Cat Mystery.